In order to get the most out of your social media marketing efforts, it is important to know which networks provide your brand with the best return on investment (ROI). Luckily, a new offering from Compete.com does just that. 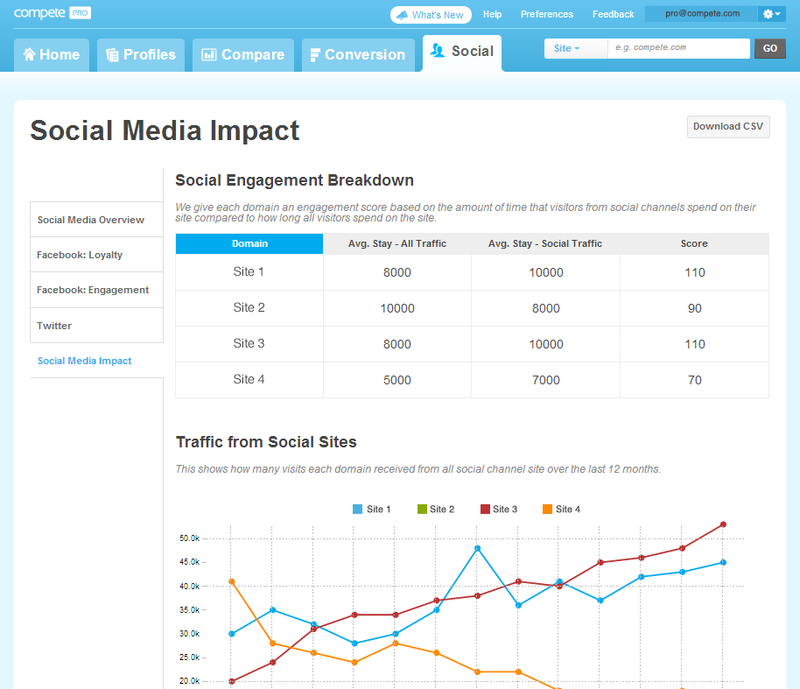 The Web traffic analysis service has unveiled a new Social Insights module for its Pro users. The module provides users with information about activity happening on social media as well as activity occurring from social media on brands’ websites. In fact, Compete Pro Social Insights provides data on website traffic coming from social networks, the engagement of social visitors on a website and even offers insights into competitors’ social activity. The Social Insights module aims to help users understand the impact social media marketing initiatives are having on a brand. By monitoring social network performance, brands can make smarter business decisions when it comes to allocating budget and time to this channel.